Volker Hummel: Mr Kim, you once said that the starting point for all your films is hatred. What kind of rage drives your new movie Bad Guy? Kim Ki-Duk: I used the word “hatred” in a larger context, and I really don’t think you should take that word out of context. The kind of hatred I was talking about was not a specific one, directed against one thing or person. Instead it is the kind of feeling that I get as I live my life and see things that I do not understand. That’s why I make movies: I see something which I do not understand and then I make a film in order to comprehend it. So maybe it’s better to talk about a misunderstanding that I have instead of hatred. VH: What was it that you tried to find out about the world through Bad Guy? KKD: The question that I was trying to ask is, why is it that though everyone is born the same, with equal rights and equal qualities, we are divided and categorized as we grow older. Why are we judged according to our looks and appearances? Why does it become important if we are good looking or ugly, if we have money or not? According to these standards, which are imposed after we are born and grown up, we become divided into ranks and social classes that don’t get along with each other. I wanted to ask if it’s really impossible for these classes to get along and for their worlds to merge. VH: Did you find an answer to your question? KKD: My answer is that human beings must respect each other, regardless of class, appearance or money. That would be my answer, but my intention in making the movie was to confront the audience with the question. I’m sure everyone will find their own answer. 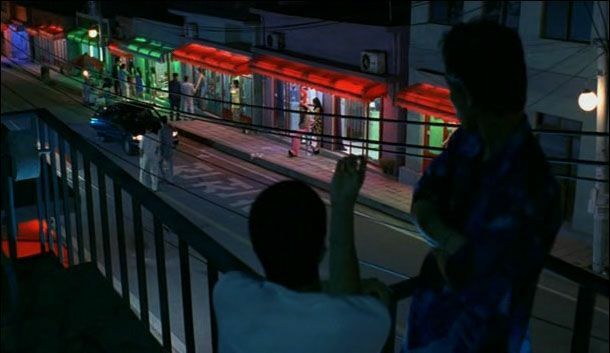 VH: As often in your films, the main protagonist of Bad Guy, the pimp Hang-gi (played by Cho Jae-Hyun), is a silent figure, unable to communicate or express himself. His only language seems to be violence. What is the reason for this silence? KKD: The reason that in my movies there are people who do not talk is because something deeply wounded them. They had their trust in other human beings destroyed because of promises that were not kept. They were told things like “I love you”, and the person who said it did not really mean it. Because of these disappointments they lost their faith and trust and stopped talking altogether. The violence that they turn to, I prefer to call a kind of body language. I would like to think of it as more of a physical expression rather than just negative violence. The scars and wounds which mark my figures are the signs of experiences which young people go through, in an age when they can not really respond to outside traumas. They cannot protect themselves against physical abuse, for example from their parents, or verbal abuse or when they see their parents fight. Or when you walk in the street and someone beats you up. When those kinds of things happen, you are helpless and you cannot do anything about it. These experiences remain as scars for those people. I personally had experiences like these. For instance, in the past, some kids who were younger than me but physically stronger beat me up. I could not defend myself. Also, in the marines, because some of the soldiers were in a higher rank they beat me up for no logical reason. In the process of having gone through experiences like this I ask myself, why does this have to be? These questions stayed with me until I became a director and now I express how I think and feel about these things. VH: Would you describe your films as autobiographical? KKD: In the case of Bad Guy I first have to say that I really don’t like people like Hang-gi, but there was an incident when I met somebody who worked in the red light district. He beat me up for no reason, and at the time I hated that man. In that situation I did not understand him at all, but I wanted to try and do so. Through this movie I tried to probe into the character’s psyche to find out what makes him do these things. VH: What about the rumours that Hollywood wants to do a remake of Bad Guy with you as director? KKD: I would like to make a Hollywood version of Bad Guy using American actors like, for example, Brad Pitt. But that is my own personal wish; no one from Hollywood has contacted me yet. VH: Don’t you think your very personal and violent aesthetics would collide with the Hollywood system? KKD: On the outside it looks as if there is a strict code to which Hollywood movies conform, but I think in reality it is not like that. They do express what they want to express, but not in a direct way. So it looks as if they are inside their boundaries but they are not. That’s why I want to work there, to use their method to subvert it. But if it’s possible I would also like to make a French version of Bad Guy, in a French way. But I wonder where you heard about this idea of a Hollywood remake. It was actually something that I was only joking about with people in the sales team. VH: I read about it in an article on the 2001 Pusan Film Festival. KKD: I think the information came from my distributors. The overseas department asked me depending on whether it was possible, would I consider doing it? And I said yes. VH: The only Hollywood movie which I can now think of as concerning itself with similar topics as Bad Guy, i.e. men who use their bodies to express themselves, is Fight Club (David Fincher, 1999). Do you see any similarities? KKD: Unfortunately I have not seen Fight Club. From what I’ve heard about it, I would think it’s closer to my film Real Fiction, a movie that was shot in only three hours and 20 minutes. It’s about a man who goes out to kill all the people that he hates – but in the end it’s shown that his killing spree was only a dream. A little bit like American Psycho (Mary Harron, 2000). VH: On the website, www.kimkiduk.com, you describe your films as “semi-abstract”. What does this mean? KKD: My concept of semi-abstract movie making is about doing more then just presenting reality. To the world as we see it, I try to add our thoughts and feelings. VH: Before turning to film you worked as a painter. The Isle (2000) especially seems more concerned with surreal imagery and less with narrative. In Bad Guy, the paintings of Egon Schiele (1) play a certain role. KKD: I spent two years as a painter on the beaches of Montpellier in France. I didn’t have any official exhibitions or anything; I just painted by myself and exhibited my work on the streets. I also had some street-exhibitions in Munich, Germany, where I got to know the work of Egon Schiele. The reason I chose his paintings [i.e. their reproductions in a book] in Bad Guy is because at first glance they look vulgar and appear to deal with obscene subjects. But if you actually look at them closely, they are very honest. They show images of people who are wrapped up in desire. Originally I liked Gustav Klimt more, but as I looked more and more at Schieles work, I moved on to him. VH: Schiele very often painted whores and “fallen women”, similar to the female figures in The Isle, Address Unknown (2001) and Bad Guy. What fascinates you about women who, in one way or another, are forced so sell their bodies? KKD: I think of women as being on a higher level than men. They have something to offer that men always need, that they will even pay for. Most people will probably disagree with me, but the way I think about it, the relationship between men and women is itself a kind of prostitution, even if no money does change hands. When trouble occurs between men and women it generates the energy that makes the world go round. It’s a universal conflict, but in a way it also reflects cultural differences. In the case of Europe I think that it’s been quite a while since things have been stable, there has been little trouble between the sexes. So if you look at European movies, they reflect this status quo, they are more low-key. Asian movies are much more volatile and violent because the conflict between males and females is still very strong. VH: Has there been as much feminist outrage about Bad Guy as there has been about your previous films? KKD: Yes, definitely. 90 % of the female critics gave a negative review about the movie. But if you look at the audience of the film, 80 % of the people who came to see it were women. If you look at all the specialists and critics, they mostly viewed the film in a negative way but the general audience is very receptive to it. They understand it. 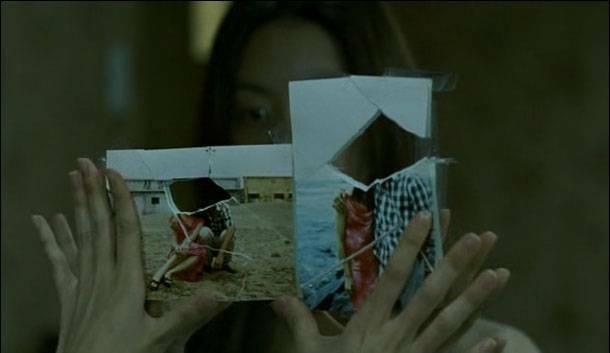 If you think of my film as Kim Ki-Duk creating the misfortune of the woman it depicts, then that’s very dangerous. But if you think of it as the depiction of a problem that already existed in society than you cannot really hate Bad Guy. VH: In Korea, Bad Guy is your most successful film to date. Do you consider economic success as an artistic failure? KKD: The success of the film is because of the main actor, Cho Jae-Hyun. He suddenly became famous because he was in a TV series which became very popular in Korea. So it’s not all my fault.